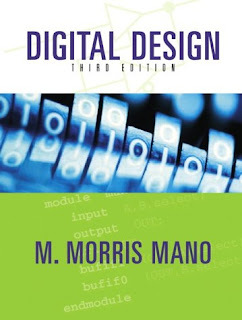 Analyzes the electronic circuits of the TTL, ECL, MOS and CMOS digital logic families. Covers both synchronous and asynchronous sequential circuits with formal procedures for their analysis and design. Introduces the algorithmic and state machine (ASM) method of digital design with applications to design state machines. Presents the IEEE/ANSI standard graphic symbols for logic elements. Uses the map method to simplify procedures for implementing multilevel NAND and NOR circuits. Includes laboratory experiments that can be performed with standard integrated circuits and other inexpensive hardware that is available commercially. 2. Boolean Algebra and Logic Gates. 3. Simplification of Boolean Functions. 5. MSI and PLD Components. 7. Registers, Counters, and the Memory Unit. 8. Algorithmic State Machines (ASM). Appendix: Answers to Selected Problems. it is really gud siteee..